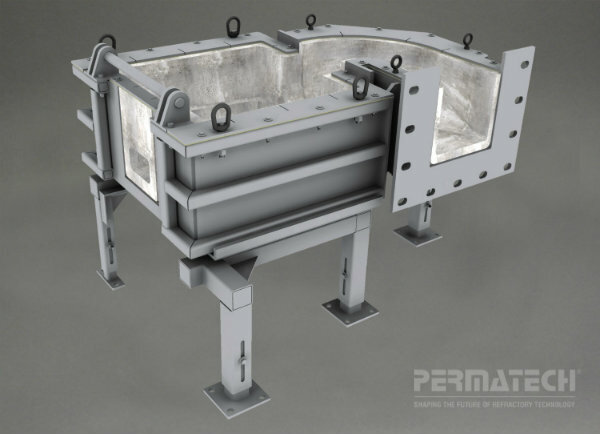 Permatech Inc. manufactures a comprehensive range of pre fired precast shapes for all aluminum cast-house applications, from the melting furnace to the continuous casting pit. With more than 20,000 different part numbers, shapes range in size from smaller than 1 pound with dimensions accurate to 0.005 inches, to as large as 10 tons. Only Permatech has the capability to manufacture pre fired crack-free 1-piece shapes of this magnitude. 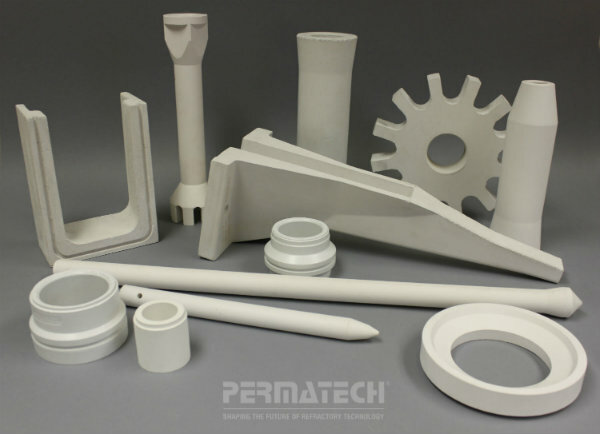 All shapes, regardless of size, are manufactured to customer requirements for refractory composition, dimensional tolerance, and surface cosmetics. 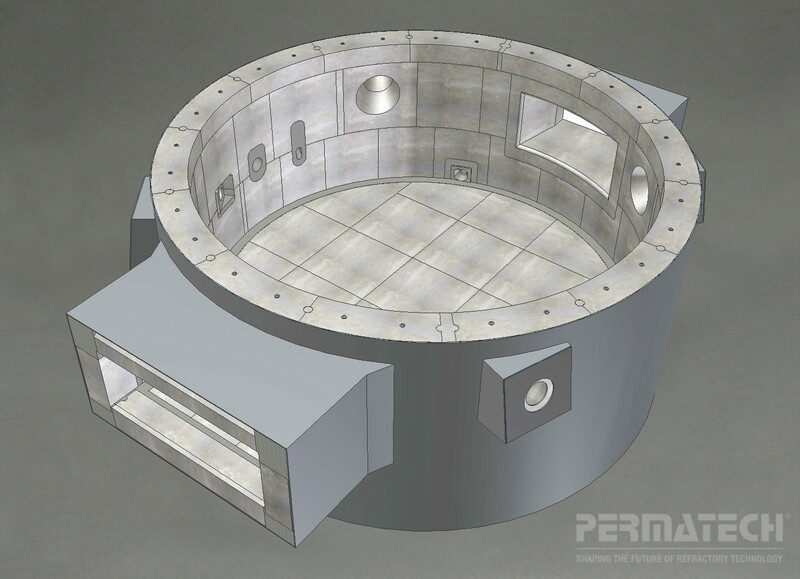 Permatech, Inc. has been recognized for many years as the premier supplier of intricate pre fired precast shapes to the global aluminum casthouse industry. 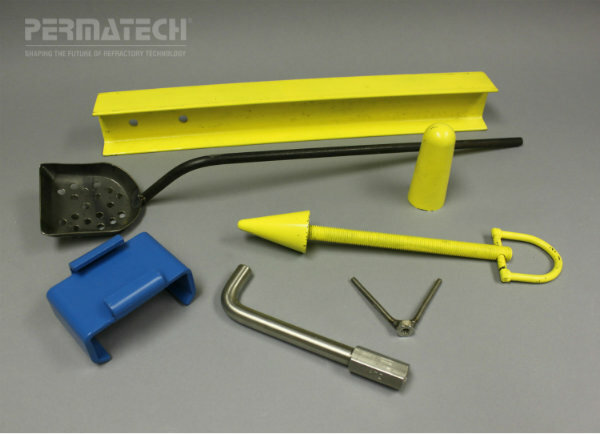 We manufacture a comprehensive range of refractory precast consumables including t-plates, thimbles, spouts, pipes, TC Tubes, flow rods and impellers. 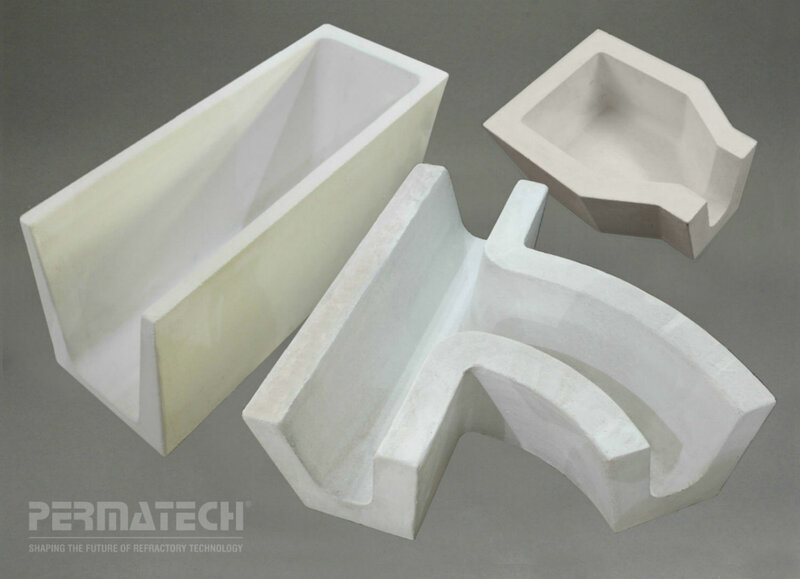 Pre fired pre-cast shapes for all aluminum cast-house applications, from the melting furnace to the continuous casting pit including troughs, dams, baffles, tap blocks, and ceramic filter bowl. As the industry leader in engineering the utilization of large refractory shapes we have the expertise to build Furnace blocks that will conform to any specific process desired. Our Systems and Fabrication provide the necessary steel fabrication and refractory construction to improve you cast house system with fast, ready to install systems and prolonged use life. 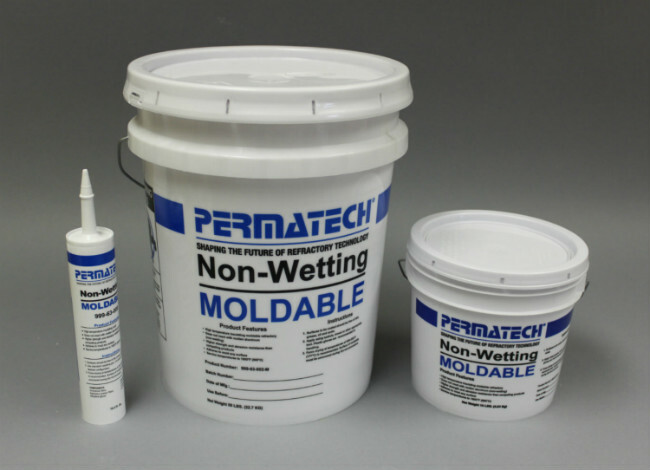 Permatech’s Non-Wetting Moldable provides an easily formed, ready mixed composition for field applications in molten aluminum environments.